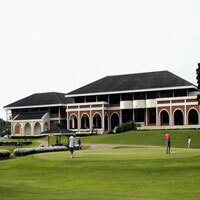 Rose Garden Golf Club is one of the most prestige and oldest golf club in Thailand. The first construction began since 1969 and started to operate since March 14, 1972. The course was designed by K.Visut Junnanon, a former national Thai golfer team. The beautiful par 72 - 7,085 yards was the host for Puttra Cup in 1976 and the Thailand Open in 1982. In 1986 the course was voted to be one of the best top 25 golf courses in the world form England golf magazine and again in 1990 was voted to be one of the best top 24 golf courses in the world form American golf magzine. One of the oldest golf courses in Bangkok Thailand, the course has mature trees which make it stand out from most of the newer Bangkok golf courses.